On one of the busiest racing weekends of the year, there were top performances at Mansfield, Leeds and New York, with plenty more action elsewhere. This week’s UK round-up is supported by SOAR running, who are offering an exclusive 25% discount to club runners. Find out more about the offer here. Adam Craig and Fionnuala Ross claimed the titles at the 33rd edition of the Age UK Leeds Abbey Dash on Sunday (November 4). 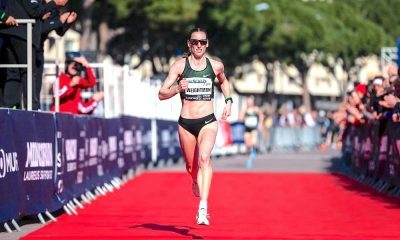 Inverclyde’s Craig crossed the line first among the competitive field of runners in a time of 29:08, while in the women’s race, Irish international Ross, clocked a big personal best 33:30 for the win. A full report from Leeds can be found here. There was a popular win at this Regent’s Park 10k on Sunday (November 4) when Kent’s top V45 Chris Greenwood won just weeks after running a 2:28 marathon in Berlin. Greenwood took victory in 33:19, ahead of Shane O’Neill’s 34:03 from Dulwich Runners. 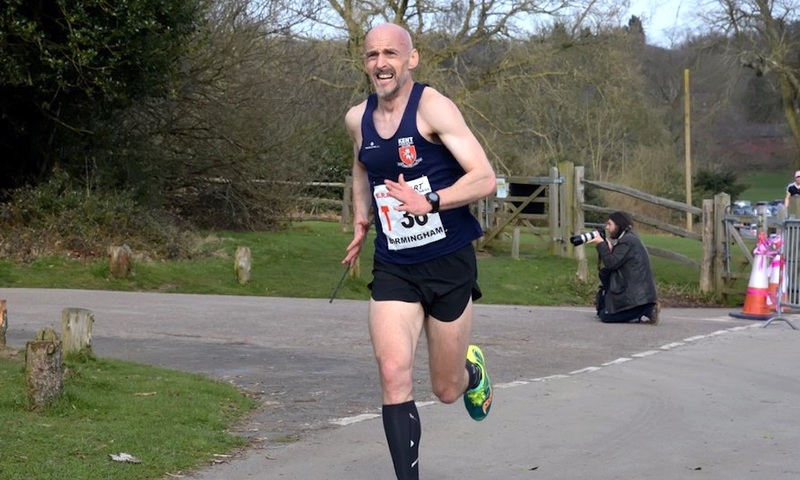 St Albans Striders’ Jonathan Scott was third in 35:04. Cambridge & Coleridge’s Maija Kozlova made the trip down south worthwhile when she won by 200 metres from her nearest rival in 40:11. Mornington Chasers’ Lauren Longhurst took the runners’ up prize in 40:40. V40 Sharon Lemberger was third in 41:22. Tonbridge AC won the women’s senior title and Leeds City clinched the senior men’s title at the Saucony English Cross Country Relays at Berry Hill Park, Mansfield on Saturday (November 3). Liverpool Harrier Jonny Mellor finished as the first Briton in the Big Apple with a time of 2:16:09 – an encouraging performance after struggling at the London Marathon earlier this year. Welshman and Commonwealth Games representative Andrew Davies was the next British athlete across the line, recording a time of 2:20:23. Despite being on track at 10km in a time of 31:04, Chris Thompson struggled to a 2:28:54 finish behind Morpeth’s debutant Nick McCormack in 2:27:35 and Kent AC duo Pete Lighting (2:28:41) and Sean Fitzpatrick (2:28:43). A full report from New York can be found here. Lincoln Wellington’s Natalie Burns continued her return to form with an impressive win ahead of City of Hull’s Sophie Lee on Sunday (November 4). Burns took victory in a season’s best 37:58, with Lee posting a 38:18 result. The stand out run came from V60 Lynne Higgins from Wolds Vets, though. She ran an incredible 41:09 for third. Barton & District’s Ben Sadowyj took the men’s race in 33:48 ahead of another impressive veteran run from Wolds Vets’ V45 Richard Harris, who ran 34:50 for second. Winterton’s Andrew Holt was third in 35:33. 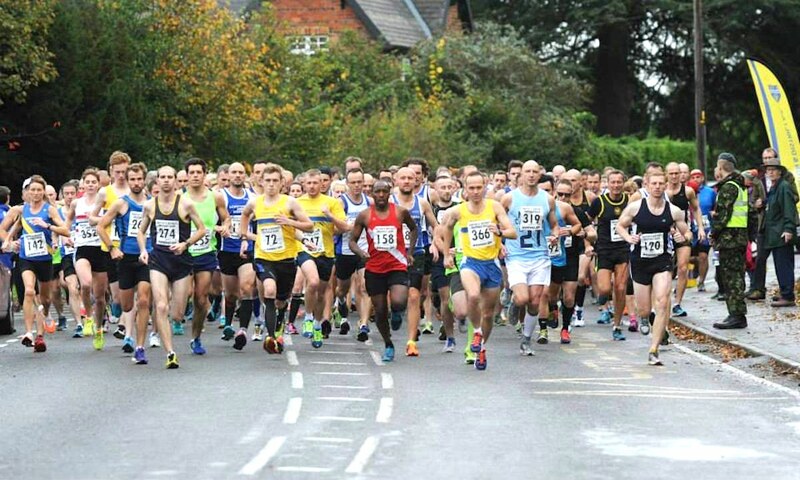 Nottingham’s Holme Pierrepont was the venue for three races on Sunday (November 4) when LGRA hosted a 5k, half marathon and marathon all on one day. 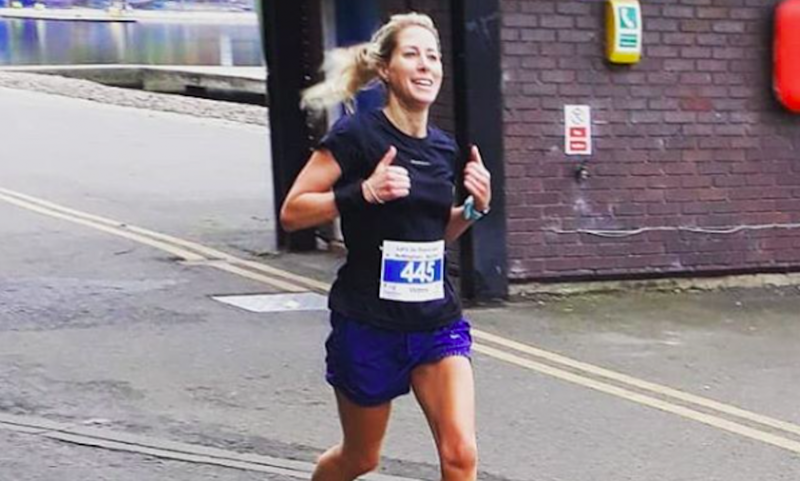 In the LGRA Marathon, Stamford Striders’ Vicky Old won her first title over the distance when she finished a phenomenal 8th overall in 3:26:51. She was light years ahead of her nearest rivals. Barrow Runners’ Helen James and 100 Marathon Club’s Sunny Calitz-Patel finished a distant second and third in 3:54:18 and 3:57:42 respectively. Portobello’s V40 Donald Macrae was also well clear in the men’s race when he took victory in 2:54:43. It was certainly a great day for the veterans. The impressively consistent Christof Schweining of Cambridge & Coleridge posted yet another superb marathon time of 3:08:51, no mean feat for a V50 athlete. V40 Colin Johnstone’s 3:14:16 was good enough for the third prize. Stockport Harriers’ Jenny Knass (V35) and Northbrook AC’s Amanda Deavy (V40) took the first and second ladies’ spots. They finished 7th and 8th overall in 88:32 and 88:35 respectively. Sphinx AC’s Ann Mosby’s 97:51 earned her the final podium position. Hallamshire Harriers’ V35 Gary Gregory took the men’s race in 75:10. 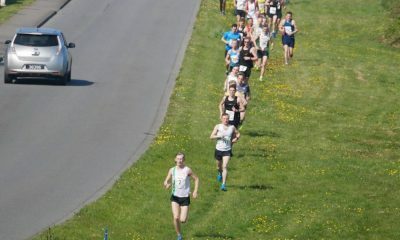 V40 Bruno Beckett’s 80:55 and Shelton Striders’ V45 Matt Bailey’s 83:31 were second and third. To top off an astonishing day for the women at Nottingham, there was an overall win for Corby’s Selina Scott in the LGRA 5k! The U20 athlete won in 19:47 from V35 Andrew Windle’s 19:55. The third spot was claimed by U13 Archie Winson from Heanor RC in 20:10 – what a race. South Derbyshire’s V40 Nickki Reeves and Heanor’s Elaine Wilkins took the second and third ladies’ prizes. They finished 7th and 8th overall in 22:15 and 22:51 respectively. There was a classy win here for Trafford AC’s Tom Charles, who broke the tape in 72:39 on Sunday (November 4). Charles was well clear of second placed Conrad Franks from Gateshead Harriers, who posted a 74:20 result. Arran McCloskey’s 74:59 was also way ahead of his nearest competitor. Northern AC’s V35 Sarah Webster ran a fine 82:07 to take the women’s race in utterly dominant fashion. Wilmslow’s Sharon Johnstone’s 89:50 was a fine performance for the V45. Prolific racer Louise Blizzard once again made the podium with a 92:34 result. 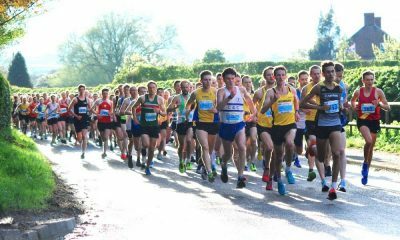 It was a one two three result for the dominant Moray Road Runners’ men at this Forres Harriers-organised 10k on Sunday (November 4), while Moray also produced the third lady. Ewan Davidson won a tightly fought battle with James Wilson, with Davidson’s 32:52 just pipping Wilson’s 33:02 in an exciting finish. Gareth Jenkins took the third spot in 34:59. Inverness Harriers’ Amy Hudson ensured it wasn’t a clean sweep for Moray when she won convincingly in 40:19. Hazel Wyness from Metro Aberdeen was just under a minute back in 41:06. Michelle Slater’s third place in 42:01 was the icing on the cake for Moray. 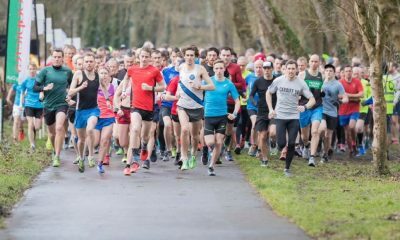 Cardiff’s Charlotte Arter was a class apart in this weekend’s UK parkrun top 10, while In form Simon Nott was the fastest of the men. The UK parkrun top 10 can be found here.